Purdue Research announced last month that researchers have developed technology that can change aluminium’s microstructure to boost ductility and offer strength equivalent to stainless steel. The technology is meant to do away with complications that arise in case of aluminium alloys during collision repair. 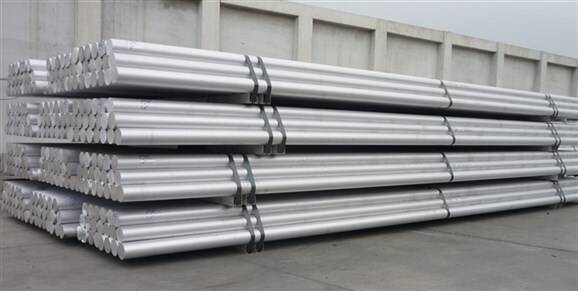 As said by Professor Xinghang Zhang from Purdue School of Materials Engineering they want to improve the softness and low mechanical strength of some lightweight aluminium alloys, to make way for more widespread industrial application. High-strength, lightweight aluminium alloys with strength of stainless steels, according to him, would revolutionize the automobile and aerospace industries. He believes once commercially available, this process can make aluminium closures even more attractive than they’re already expected to be for OEMs. According to Purdue, the crystal lattice of a metal involves repeating atomic layers; scientists call absent layers “stacking faults” and dual layers of stacking faults “twin boundaries”. While copper and silver are receptive to stacking faults, aluminium’s higher stacking fault energy make it harder to artificially induce them. The Purdue research team figured out how to increase strength and ductility and improve thermal stability in aluminium alloys. The results show how to fabricate aluminium alloys that are equivalent or stronger than, stainless steels. “There is a lot of potential commercial impact in this finding,” Zhang said in a statement.